For rehabilitation staff and patients alike, our therapy stools are useful for a wide range of applications. If you’re looking for a mobile stool for your therapists, our pneumatic stools are an ideal and cost effective solution. 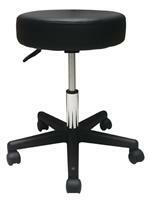 Comfortable and easy to adjust, our pneumatic stools are a great addition to any therapy center. Designed to accommodate persons weighing up to 350 pounds, our step stools are rugged enough for years of service in your rehabilitation center. Our bariatric step stool is reinforced for patients weighing up to 600 pounds. With rubber feet and a tread top for safety, the bariatric step stool will stay in place and support the weight of virtually any patient. 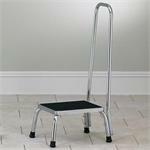 Help Prevent injury and assist balance with our hand rail step stools for patients who need additional support. 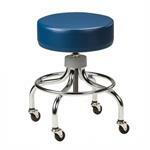 Learn more about our therapy stools today at E-Current.com.